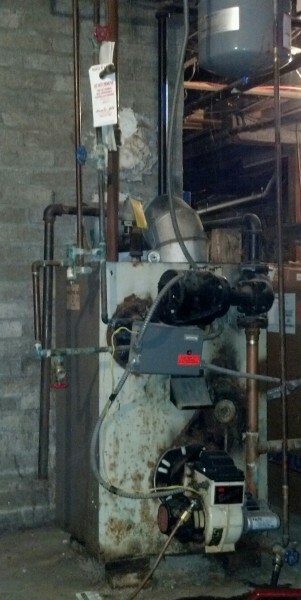 High Efficiency Boiler - PIPELINES, Inc. 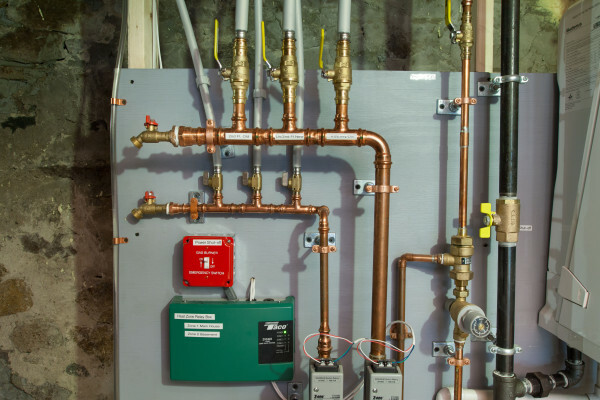 This home’s heating boiler and water heater were crouched in a dark, dirt floored, original portion of the house’s much expanded basement, with a nest of piping snarling in all directions overhead. 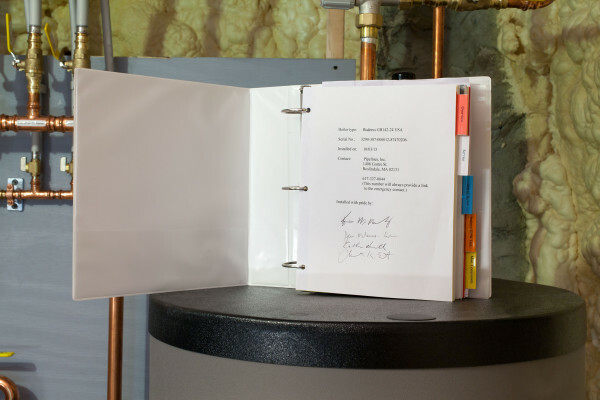 As you can see from this picture, the new homeowner had thought about energy efficiency and had taken the right first steps to keeping his heating dollars in his house. For the location of the new boiler, we chose an outside wall near the exit point of the vent and air intake pipes. We placed the vent/ intake pipes there to optimize ground clearance outside (to avoid obstruction by snow) and to minimize interference with the home’s openings as well as those of the neighbors. 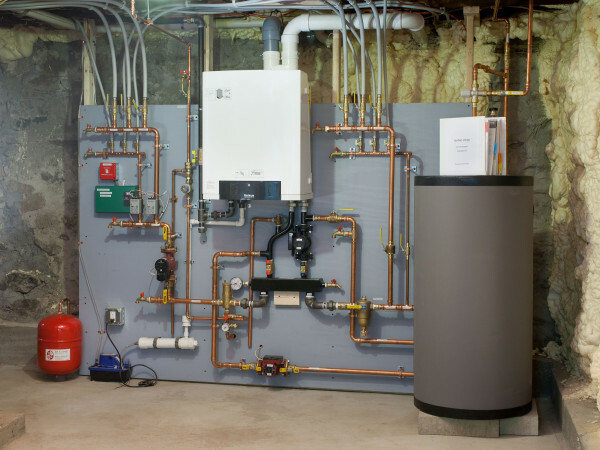 There are many versions of a high efficiency hot water boiler on the market, and boiler manufacturers have gone one of two routes: thoughtful and lasting, or cheap and ...cheap. We have chosen to use Buderus boilers for many reasons which are discussed in Products We Like. 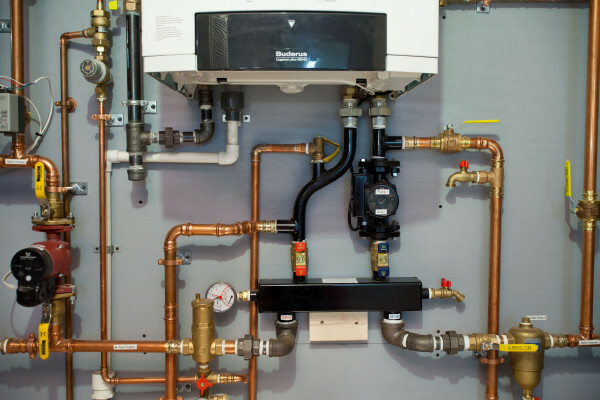 Here you can see one of the reasons on display- the black manifold comes with every boiler, attaches in minutes and provides the piping, pump and components for proper operation of this boiler. Love. No job is done until the important parts are labeled so anyone can locate them in an emergency.